Somewhere in midtown Manhattan, an 82-year-old man is wistfully gazing out the window, remembering when he was young (younger, anyway) and brash and really ruined Nigella Lawson&apos;s father&apos;s day. Now, $1 billion doesn&apos;t mean as much as it did in 1992. But we think George Soros can be forgiven a moment of self-satisfaction in this twilight triumph. George Soros, who made a fortune shorting the British pound in the 1990s, has scored gains of almost $1 billion on the trade since November, according to people with knowledge of the firm&apos;s positions. Others reaping big trading profits by riding the yen down include David Einhorn&apos;s Greenlight Capital, Daniel Loeb&apos;s Third Point LLC and Kyle Bass&apos;s Hayman Capital Management LP, investors say…. Investors began jumping into the trade late last year, ahead of the election of Shinzo Abe as Japan&apos;s prime minister. When Mr. Abe and others were unusually open in their rhetoric about driving down the currency, traders added to their positions, helping the yen weaken. Soon, salespeople and traders at banks were telling hedge funds and other investors that the time was right to make big bets against the yen. Mr. Abe&apos;s election, and the selling by hedge funds, had a big impact. On Wednesday, the dollar bought about 93 yen, from about 79 yen in mid-November. "It&apos;s a bet on Abe-nomics" someone close to the Soros firm says…. Few investors, though, have made as much money as Mr. Soros. 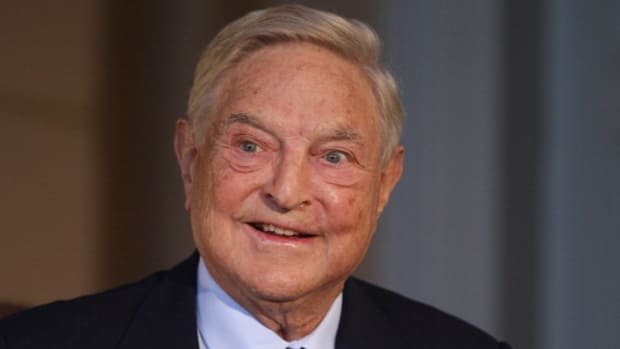 The 82-year-old investor&apos;s $24 billion Soros Fund Management has made close to $1 billion of paper profits since mid-November wagering on yen weakness, according to people close to the matter.